On December 28, 2017, Family Care earned a Level 3 PCMH Recognition, the highest possible level of NCQA recognition. We are extremely proud of the accomplishment and greatly appreciate the contributions all of our employees to help our office earn this award. Fulfilling the requirements for the award was a tedious, yet rewarding, year-long process and we developed better methods to help our patients along the way. We think earning our PCMH Recognition has enabled us improve the care we offer our patients, which is always our goal. We always want our patients to be confident that the services they receive at our office follow the best, most up-to-date standards in the industry. We have always believed we provided high quality primary care, but now we have a shiny new award to prove it! The National Center for Quality Assurance (NCQA) Seal is a widely recognized symbol of healthcare quality. Accredited providers face a rigorous set of more than 60 standards and must report on their performance in more than 40 areas in order to earn NCQA’s seal of approval. For consumers and employers, the seal is a reliable indicator that an organization is well-managed and delivers high quality care and service. The Patient-Centered Medical Home is a model of care that puts patients at the forefront of care. PCMH providers build better relationships between people and their clinical care teams. For Primary Care Providers, recognition through NCQA’s Patient-Centered Medical Home (PCMH) Program is the highest standard in the industry. The NCQA Patient-Centered Medical Home program reflects the input of the American College of Physicians (ACP), American Academy of Family Physicians (AAFP), American Academy of Pediatrics (AAP) and American Osteopathic Association (AOA) and others. It was developed to assess whether clinician practices are functioning as medical homes and recognize them for these efforts. 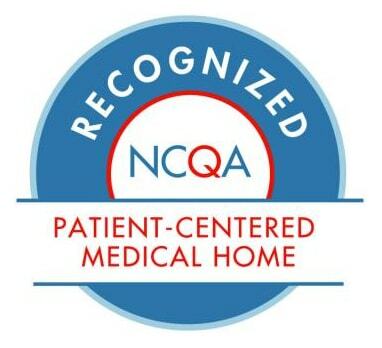 The NCQA Patient-Centered Medical Home standards emphasize the use of systematic, patient-centered, coordinated care that supports access, communication and patient involvement.